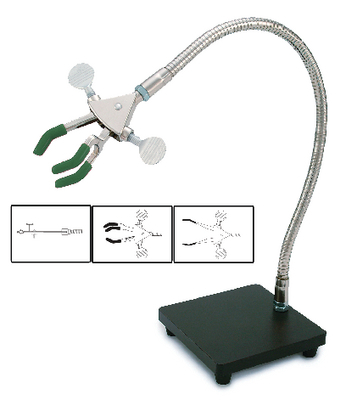 Systems are extremely versatile with a unique, flexible arm that can be placed in virtually any position or angle. Systems include a two-prong clamp, a three-prong clamp, a spring clamp head, a nickel-plated flex arm of either 30.5 cm (12") or 45.7 cm (18") length, and a steel base plate with chemical-resistant black finish. The two- and three-prong clamps are constructed of cast alloy with dual adjust for greater flexibility. 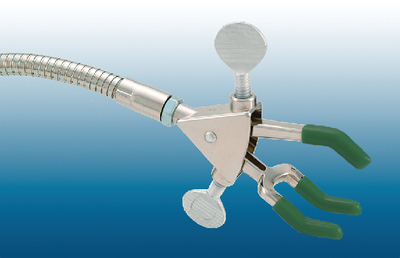 Both clamps are provided with vinyl and fiberglass sleeves. 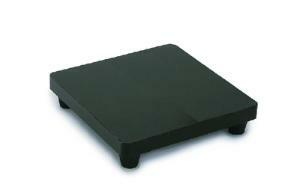 The fiberglass sleeves are recommended for higher temperature applications up to 100°C (212°F). 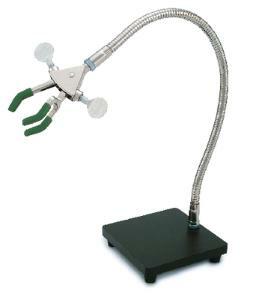 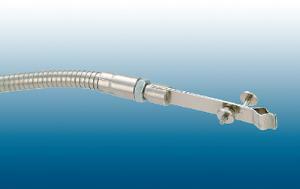 The two-prong clamp is ideal for holding straight-sided apparatus such as burets, thermometers, beakers, and flask necks. The three-prong clamp is ideal for holding irregular-shaped objects. 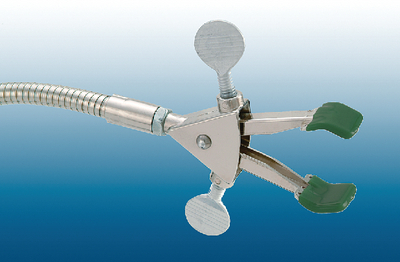 The spring clamp head features locking wing nuts that apply tension to the nickel-plated jaws. It is designed to hold thermometers, glass tubes, and temperature probes.